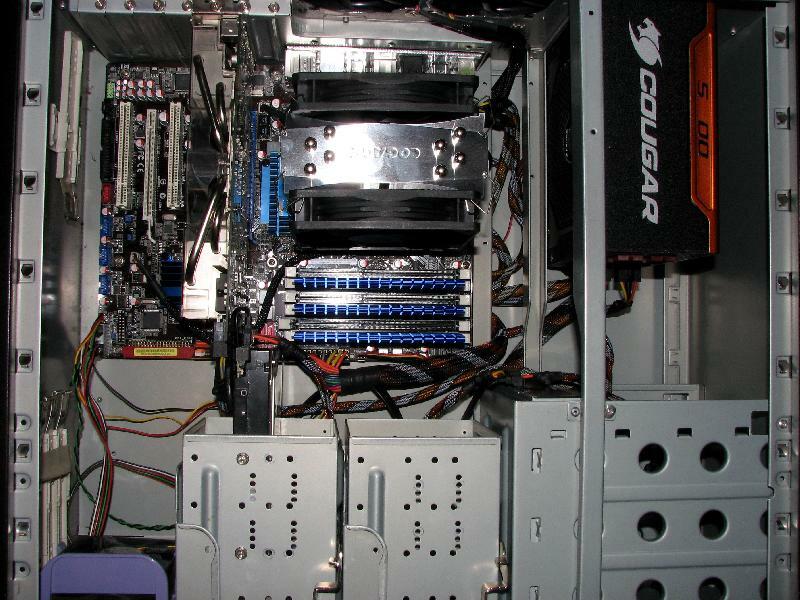 I have been involved with overclocking my systems since the Pentium MMX days. 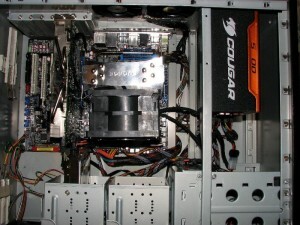 One of the first things I learned even way back then was that, if you wanted to push your system faster than Intel or AMD stock speed specifications, cooling is most important in getting stable overclocks and stock heat sinks aren’t remotely adequate for cooling when pushing the cpu clock speeds. So I started out with looking into aftermarket coolers for those systems and haven’t looked back since. 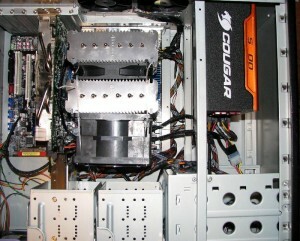 Premium aftermarket coolers have been around a while and have gone through several changes since those days, until most high end air cooling solutions you find nowadays are heat pipe based solutions that generally are mounted vertically in relation to the motherboard and exhaust towards the rear case exhaust fans. 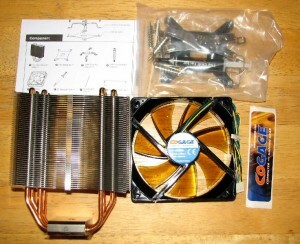 I will be looking at 6 different heat pipe cooling solutions with this review, with retail prices ranging from the mid-$30 range to $100. All have been looked at by other sites at one time or another, but generally are tested on a dedicated test stand setup. I will be a bit different as I am going to test them in a case on a working system and see if any surprises will be found. 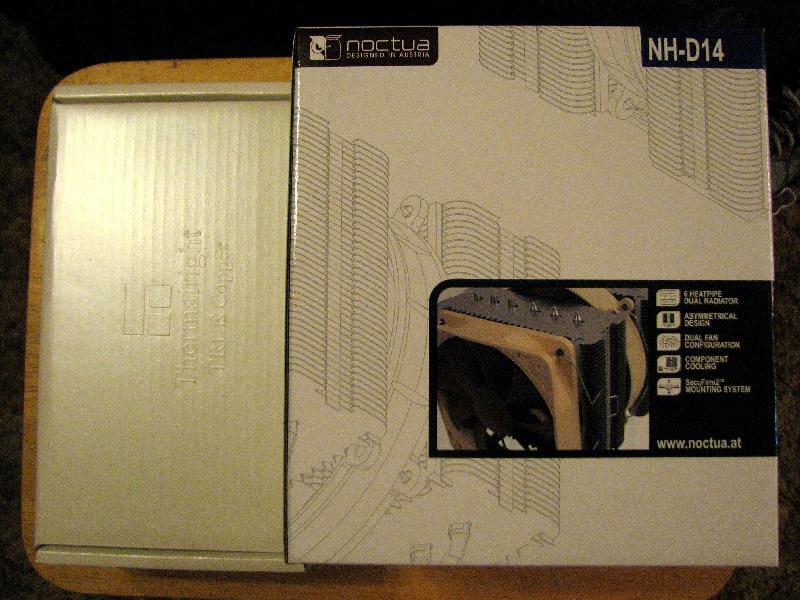 Here are the boxes the TRUE Copper and the Noctua NH-D14 came in. Both are very secure in their packaging. Here are the boxes that the Megahalems and the True Spirit were packaged in. The Megahalems box is well made; the True Spirit box is kind of flimsy but good enough to protect it. This picture is all Thermalright, with the TRUE Rev. C 1366RT and the Venomous X boxes. The Venomous X box is very sturdy but the TRUE Rev. C 1366RT box is thin plastic and kind of cheezy in my opinion. There is a sturdy plastic inside of it that protects the heatsink however. 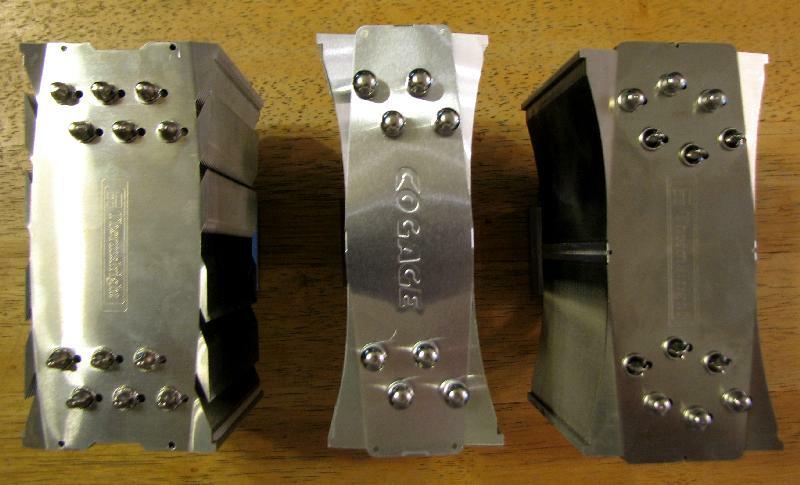 Of the above six heat sinks, three of them are directly marketed under the Thermalright name and the Cogage True Spirit is manufactured and sold by Cogage, a subsidiary company of Thermalright. Thermalright has been a player in the premium heat sink field a long time and has a reputation of innovation, solid engineering and good quality products at fairly reasonable prices. Since they are a leading name in high performance aftermarket cooling, they have pretty much been the target to beat for other companies to strive for, especially since they introduced the original TRUE in 2007. The TRUE has proven to be a top performing cooler since it’s introduction, but had a quality control issue with base finishes for the first few years. Unless you were very lucky, you would end up having to lap the base due to the poor finish on the base not giving optimum contact with the IHS on the processors, leaving some cooling performance on the table. It seems to me though that Thermalright has addressed these problems starting with the TRUE Revision C and they don’t need to be lapped any more for optimum performance. 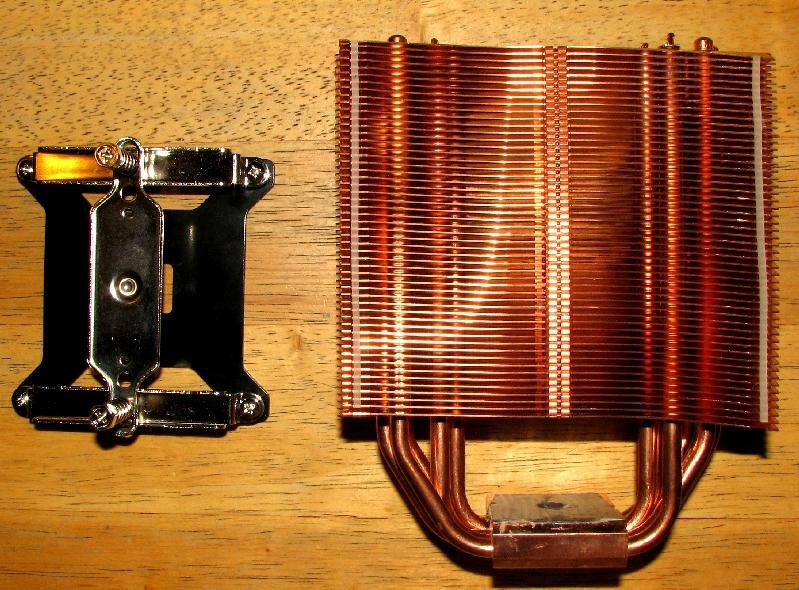 Of the four heat sinks I am testing above from Thermalright, the only one that came with a poor base finish was the Copper TRUE, which was manufactured before they released the Revision C models and had to be lapped. ProlimaTech is a relative newcomer to the high performance air cooling scene, but has shown up with some real winners so far. Their first product released is the Megahalems, which I will be testing here. This is an original model Megahalems, but is functionally the same as the later Revision B models that are being sold now. 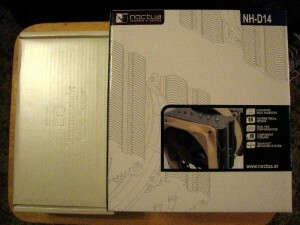 Finally we are looking at the Noctua NH-D14. Noctua is an Austrian based company that started being sold here in the USA a few years ago and have shown themselves to produce some great cooling products. And the NH-D14 is a very large heat pipe solution that is a bit unlike the other heat sinks in this test in that it comes with a 120 x 25 mm fan and a 140 x 25 mm fan and is designed to work with both installed. We will see if the NH-D14 can deliver the goods and cool as effectively as the other choices here. I bought this heat sink new right after they were introduced to the market. As delivered, the general finish on the heat sink was good and came with mounting hardware for the Intel and AMD sockets in current usage at the time. However, the base finish on it was absolutely horrible. It looked as though they had tried to machine a convex base finish on it, but it was off-center and gave much worse performance than the regular TRUE heat sink I had at the time. After lapping the base, the performance of it improved markedly, with it slightly outperforming the original TRUE model. This is the only heat sink in this review that has had anything done to the manufacturer’s base finish. This is the TRUE Copper and the Rev. B mount which I've upgraded to using for the TRUE series. This is the TRUE Copper installed in the test system. I am using 2 TR plastic fan holders to hold the fans on the heatsink instead of the original wire clips. This is the TRUE Copper with the massive Sanyo Denki fan installed. Note that I am using wire clips to hold the fan on with it. 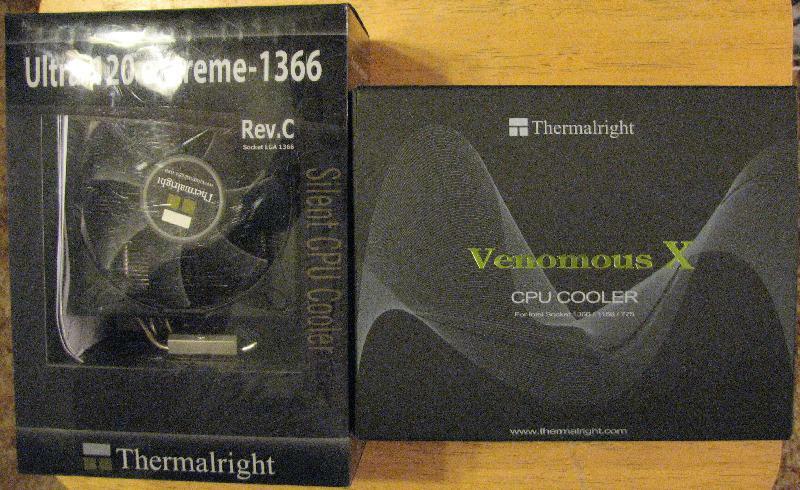 This heat sink was bought by myself earlier this year, right around the time the Thermalright Venomous X was introduced in order to see if there was any discernible differences between the Rev. C and original TRUE models and also to compare it with the Venomous X. The biggest difference I found with it was the inclusion of the newer Rev. B mounting hardware, which I find to be a substantial upgrade compared to the original “X” type mounting hardware included with my Copper TRUE for LGA1366. While the original “X” type clamping system can be made to work well, you generally had to do some mods to it for optimum clamping and holding pressure. The Rev B mount does away with the need for mods to get a secure and tight mount. Also with this retail model TRUE was the inclusion of a plastic fan holder instead of using wire clips to mount the fan like the earlier TRUE models used. But, the retail version also didn’t include a way to mount a push-pull dual fan setup on it without having to buy some fan clips or another plastic fan holder either. The base on this heat sink is bowed with it being bowed across the long axis, point loading the center of the IHS under compression. Like modern bowed water blocks, this helps optimize heat transfer between the center of the IHS and heat sink base. This is the TRUE Rev. C 1366RT and mount. Here is the TRUE Rev. C 1366RT installed in the test system. Note that again I am using 2 TR plastic fan holders to mount the fans for testing. And here is the Sanyo Denki mounted on the TRUE Rev. C 1366RT. I also had to use the wire clips to mount the fan. Copper base: C1100 pure nickel plated copper base, with ultra-shine mirrored surface. As stated above, the mounting system for the Venomous X was changed from even the Rev. B model clamping system used by the late model TRUE heat sinks, but the 2 mounts are fully interchangeable between the 2 different series heat sinks. The Intel mounting system included with my Venomous X is designed to work with LGA775, LGA1156 and LGA1366 sockets with the same hardware. 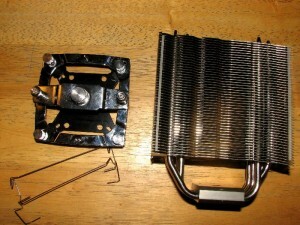 Another change with the Venomous X is the wire clips that are used to secure the fans to the heat sink. There are holes drilled into the fins at the top and bottom of the heatsink for the clips to slip into and stay semi-permanently in place, compared to the wire clips hooking on the side like the TRUE series were designed to do. This is a welcome change in my opinion, as I find it makes it a bit easier to swap out fans since the clips simply pivot out of the way and stay on the heat sink. Also with this mounting system, Thermalright also gave us a way to vary the mounting pressure in the form of a knurled screw that goes through the middle of the top mount and nestles into the indentation in the top of the heat sink base and lets you vary the clamping pressure between 40 to 70 lbs of clamping force. By the way, this mounting system also works just as well on the TRUE series and the True Spirit as it does on the Venomous X. 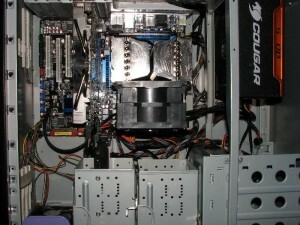 If Thermalright would decide to sell this mount separately in the future, it would be a viable choice for buying to use with your TRUE or True Spirit, especially since it works on the 3 different Intel sockets in use on single processor systems. The base on this heat sink is bowed with it being bowed across the long axis, point loading the center of the IHS under compression. Here is the Venomous X and it's mounting bracket. 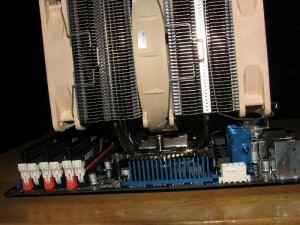 Note that this mounting bracket will also work with the other Thermalright heatsinks in this review too. Too bad that Thermalright doesn't sell it separately. And here is the Venomous X installed in the test system. The TRUE plastic fan bracket will not work on the Venomous X. They have a retail veron out now that does include a white colored plastic fan holder bracket. Venomous X with Sanyo Denki installed. 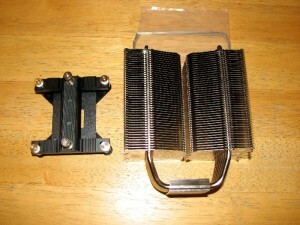 The stock fan clips hold this heavy and massive fan securely. 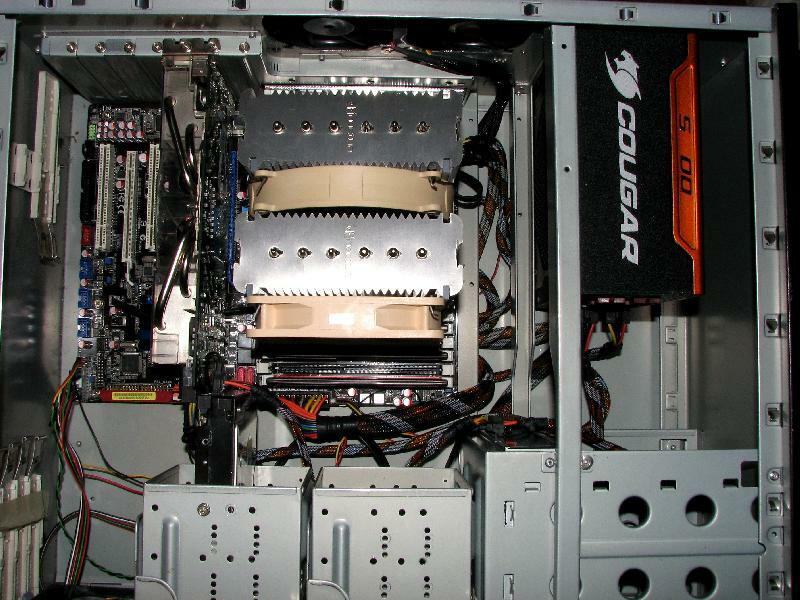 As stated above, this heat sink includes the older “X” style of LGA1366 clamping system in the box. The original release of the True Spirit used the “X” style clamp without a backing plate, but used the cursed Intel push-pins. 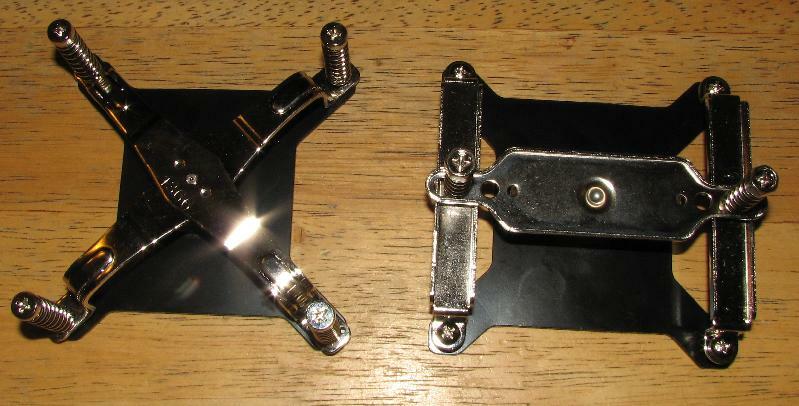 They revised the mounting system by including the backing plate and tension spring screws that came with the TRUE heat sinks, which is a better mounting system than the push-pins, in my opinion. 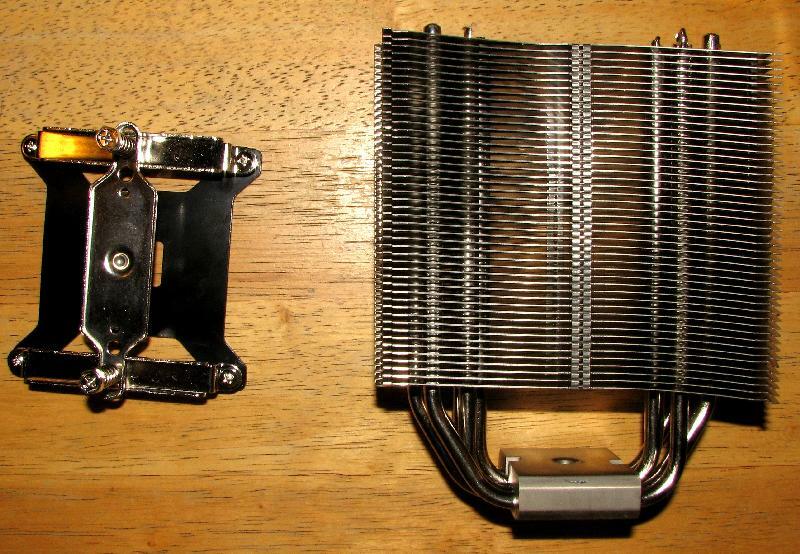 The “X” style top still doesn’t give optimum clamping pressure without doing a washer mod, but does work better with this heat sink than with the TRUE due to the True Spirit being a lighter heat sink. 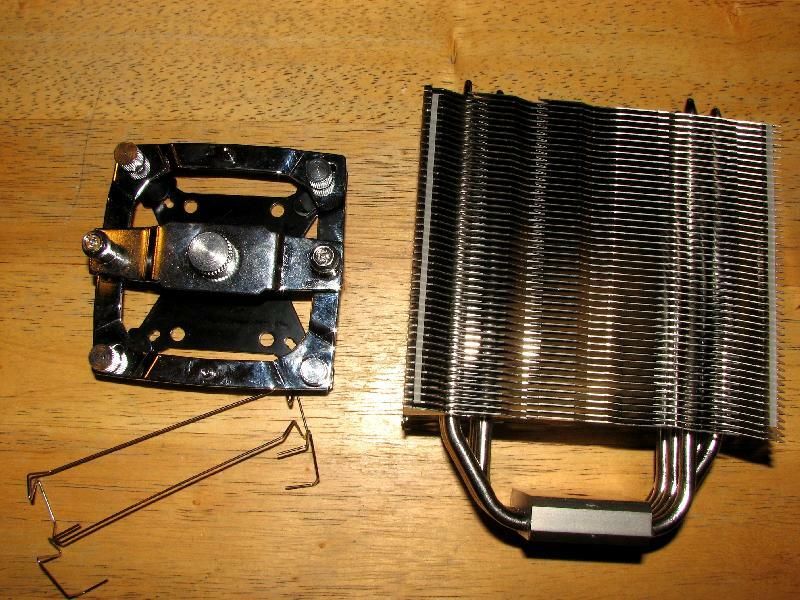 This heat sink also uses the same wire clips that are used on the Venomous X, in case you want to get an extra set of clips so that you can run a push-pull setup on this heat sink. The base on this heat sink is also bowed with it being bowed across the long axis, slightly point loading the center of the IHS under compression. This is the True Spirit after taking it out of the box. 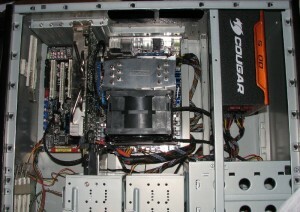 Note that it now includes the old style Thermalright mounting system, including backplate and spring loaded screws. This is a top shot of the TRUE, Venomous X and True Spirit showing the differences between the 3 different heatsink lines in fin shape and depth. Here is the True Spirit installed in the test system. I used a set of the Venomous X wire fan clips to mount the second fan on it. And with the Sanyo Denki mounted on it. 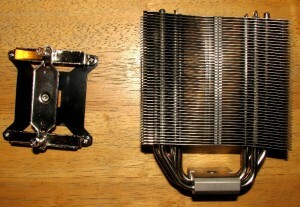 The fan clips held it on the heatsink securely too. The Megahalems impressed me with the quality aluminum mounting adapter that comes with it. Instead of using stamped steel components like Thermalright and Noctua use, they used thicker, more rigid aluminum components and make for a very good mount with hardly any side to side play in the mount. The base is also well finished, with it being slightly crowned across the short axis, giving a “bowed” finish similar to today’s high performance water blocks by point loading the center of the HIS for a better contact patch while under compression. The heat sink itself is thicker in cross section compared to the Thermalright offerings and the fins are a 2 piece stack that are separated by about a ¼” air gap between the heat pipe stacks. The Prolimatech Megahalems in all it's glory for you to look at. 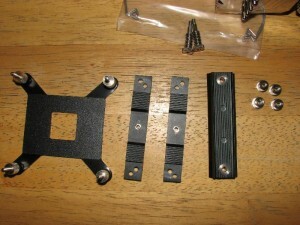 Here is a closeup of the megahalems mounting hardware. I consider it's mounting hardware to be the class of the field. The Megahalems is installed and ready for testing in the test system. Note that with the megahalems, if you want to use 38 mm thick fans you will need to buy separate clips for it, unlike the Thermalright clips. But you can use closed corner fans with the Megahalems clips. I had to use zip ties to mount the Sanyo Denki fan to the Megahalems. This is due to the way the clips are designed, which grasp the fan on the outside corners of the fan and not the edges closest to the heatsink. 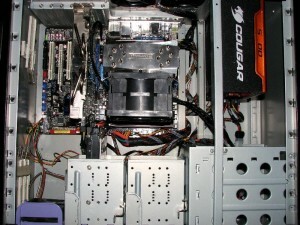 Top view of the NH-D14 and the included mounting hardware. 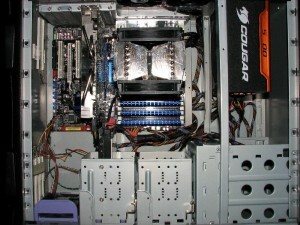 This is the NH-D14 installed with it's stock fans. You can see how much larger it is compared to the rest of the heatsinks. 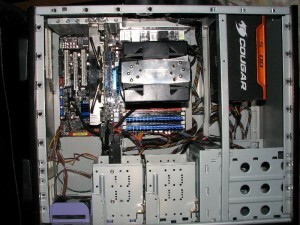 With short heatspreader, such as this kit of Corsair XMS uses, there are no clearance problems with the intake fan. 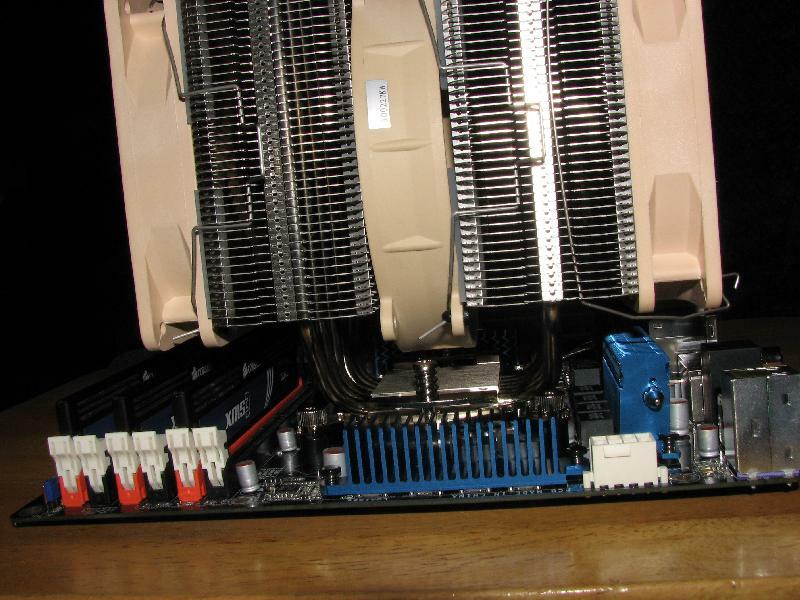 This picture will give you an idea of the clearance issue between this heatsink's intake fan and tall heatspreaders. Notice I had to offset the fan a bit to mount it. Unfortunately I missed taking a picture of the NH-D14 with the 3 Yate Loon High fans installed in the test system. I did take this picture when I was checking clearances out on the mobo with the 2 stock fans and a third NF-P12 mounted on the end. 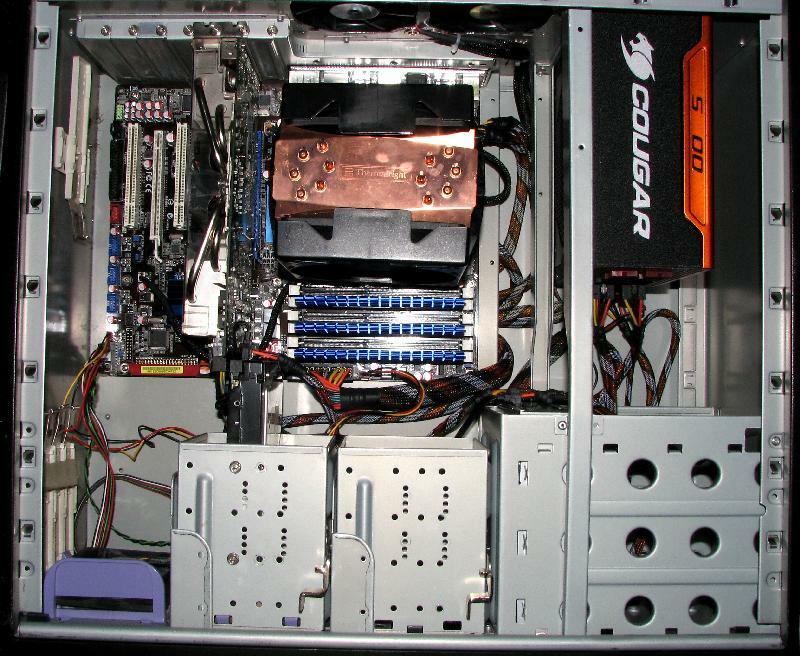 This will give you an idea of how much space the heatsink covers with 3 fans installed on it. Here, the Sanyo Denki fan is mounted on the NH-D14. What looks to be a fan in the center between the 2 heatpipe stacks is actually just a fan frame that's had the fan gutted out of it. 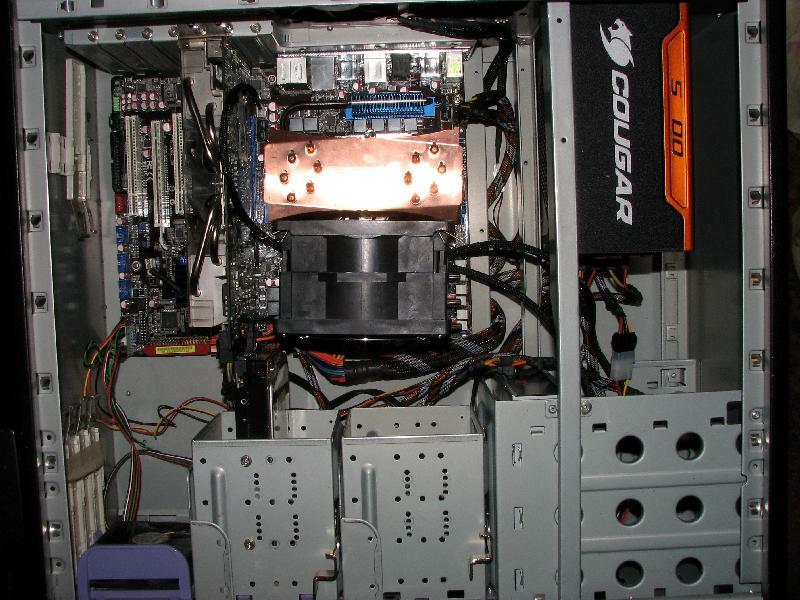 I used the fan frame to channel the air from the first heatpipe stack into the second stack. My testbed setup is a modified older case design, but I think it represents an average case as far as cooling efficiency is concerned. The testbed setup is as follows. Case – Chieftech clone of the Antec 1040 case series, with the original 80 mm exhaust fans being removed and the holes enlarged to mount two 92 mm fans externally on the outside of the rear case bulkhead instead of internally. Processor – Intel Core i7 Extreme 980X, overclocked to 4000 MHz @ 1.304 v.
The Thermalright plastic fan holder which comes with the TRUE Rev. C 1366 RT heat sink can also be bought separately and it weighs in at 63.7 grams. Since I have an Ohaus triple beam balance already, I decided to weigh each heat sink and the add-on fans in order to get an idea of how accurate the weights quoted by the manufacturers really are. I also weighed the fans and fan holders (in Thermalright’s case) so that you could get an idea of how much weight is being suspended above the motherboard when the heat sink is mounted. I didn’t weigh the mounting systems as I feel that weight doesn’t factor into the potential bending moment if the case were dropped or jarred hard. 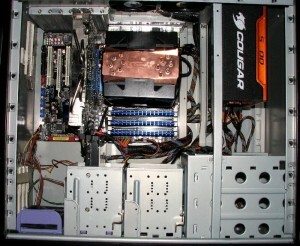 There is the potential when a case is handled roughly that the motherboard would be damaged due to the weight of the heat sink and these taller heat sinks can exacerbate the situation because of their tallness and weight mounted high above the motherboard giving the heat sink a high bending and cross-load moment when dropped or jarred. For temperature monitoring purposes, I am using Real Temp 3.40, with logging enabled at 2 second intervals. For outside air temperature monitoring I used a digital thermometer and kept the temperature in the room between 20.5 to 21.1 °C (69-70 °F), measured at the front of the case. If room temperatures exceeded these parameters I re-ran that individual test run. 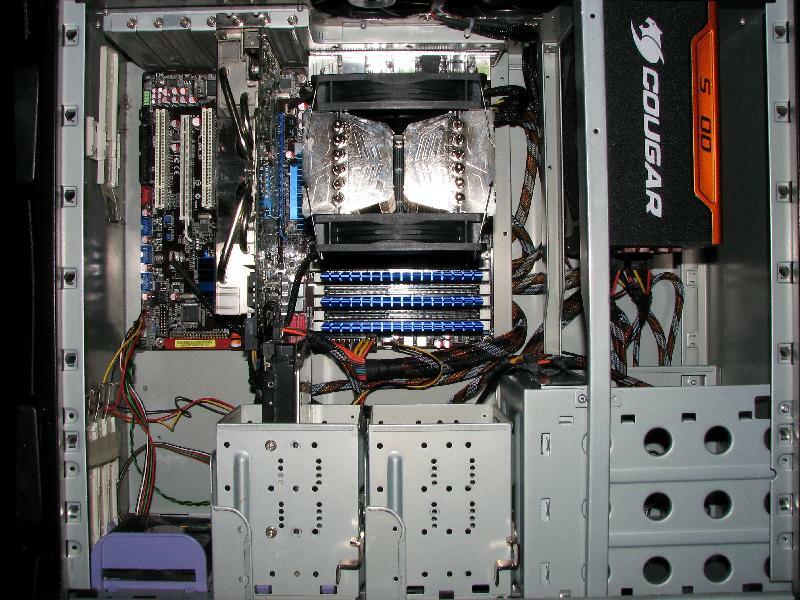 Hopefully for future reviews I will be able to upgrade to a logging digital monitor that can log the intake temperatures so that I can more accurately measure delta T. For loading the CPU, I used Prime95 version 25.8 using in-place large FFT’s and ran it for 30 minutes to stabilize temps. After 30 minutes I would exit Prime95 and let the CPU idle for 5 minutes. The highest recorded temperature from the hottest core for each run was then recorded off of the Real Temp log, the lowest temperature on any core was recorded and the average temperature on the hottest core was calculated during the load portion of each run. I tested each heat sink in the following configurations. 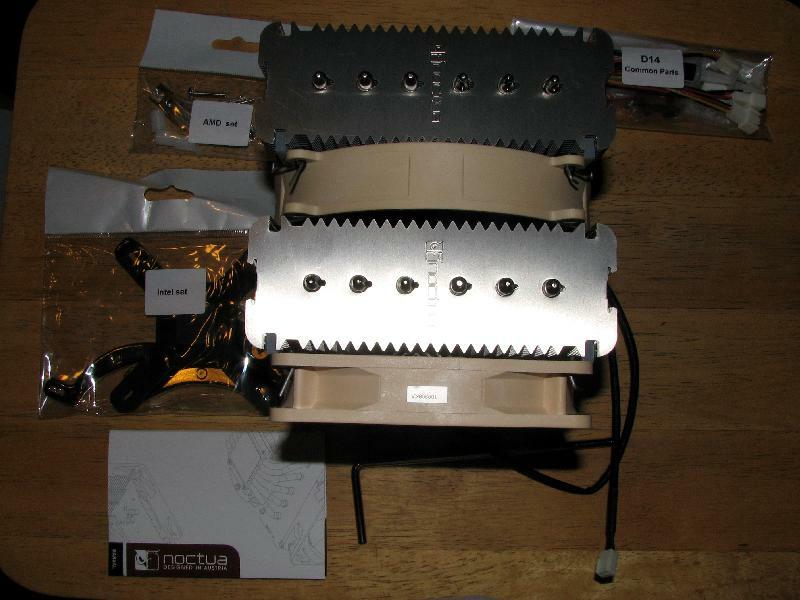 For heat sinks that included a fan in the retail package, I tested with the included fans. I tested the heat sinks except the NH-D14 using the Thermalright fan included with the TRUE Rev. C 1366 RT in push configuration only. It has exactly the same specs as the Scythe S-Flex SFF21F fan and I imagine that Thermalright sources it from the same OEM as Scythe. For push-pull tests, I tested all the heat sinks except the NH-D14 with two Scythe S-Flex SFF21G fans. For the push-pull testing on the NH-D14 I tested it with 3 Yate Loon D12SH-12 fans since I couldn’t get the fan clipping mechanism that Noctua uses to work with the Scythe fans. For clipping on the third fan onto the NH-D14, I used one set of the fan clips for 25 mm thick fans that comes with the Prolimatech Megahalems. Those fan clips work well on the NH-D14 to hold a 25 mm fan on either end of the NH-D14. 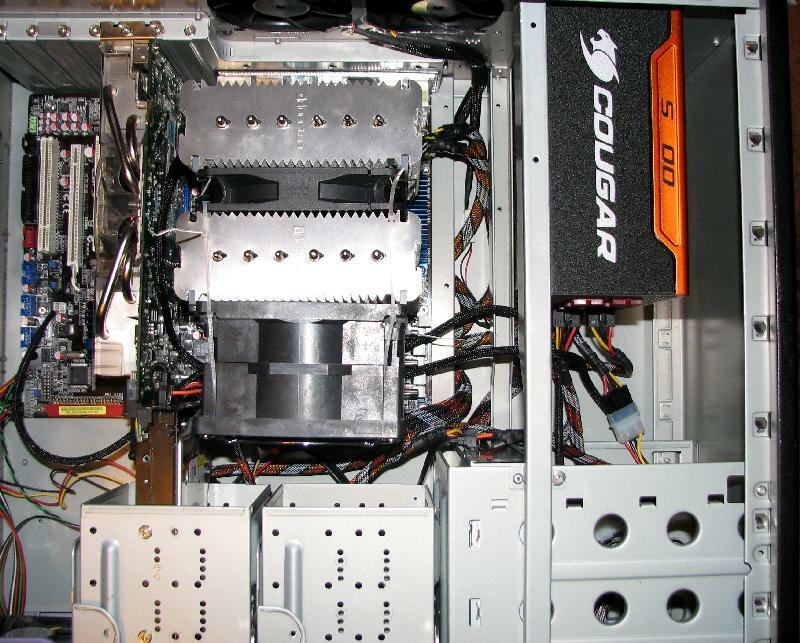 Each heat sink was mounted on the system 3 times and the best run of each was taken for this review. Finally, for extreme CFM testing (for benching on air) I tested each heat sink with a fan I have dubbed The Beast. This Sanyo Denki compound fan is the most powerful 120 mm form factor 12 volt I know of and nobody in their right mind would use this fan for everyday usage as the noise is bloody awful. But it is a great fan for bench testing on high end air and testing with this fan will give us an idea of whether these heat sinks can improve their efficiency at removing heat with extreme airflow. For extreme CFM testing on the NH-D14, I gutted a fan out and mounted the frame between the heat pipe stacks to help guide the air through the second heat pipe stack for more efficient cooling. I was able to use the stock mounting systems on the Thermalright and Cogage heat sinks to mount this fan, but with the Megahalems and the NH-D14 I had to use zip ties to securely mount the fan to the heat sinks. Also during this phase of testing, the case side was removed to keep from recycling hot air and relieve the pressure that The Beast puts on the exhaust fans on the case. Now finally on to the results. First up are the runs done with the retail fans that came with the heatsink on the heatsinks that came as a complete cooling solution. The NH-D14 was tested in it’s stock configuration with both the stock fans installed, since that is the way it comes from Noctua. 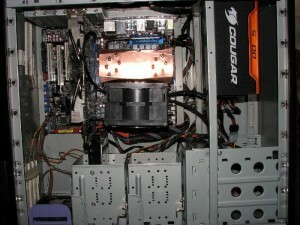 The True Spirit was tested with it’s stock fan with the PWM function turned off in bios, to let it spin at full speed. And the Thermalright TRUE Rev. C 1366RT was tested with the included Thermalright fan. 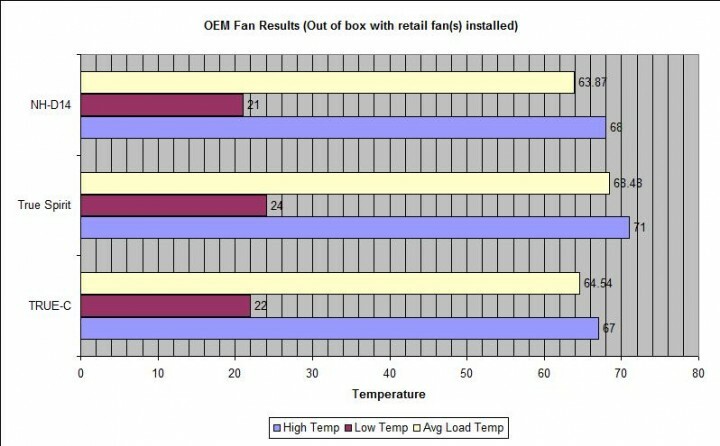 Here are the results from the testing done on the heatsinks that come as a complete solution, with fans. Next are the runs done with a single Thermalright TR-FDB-1600 fan. The NH-D14 was tested in it’s stock configuration with both the stock fans installed, since that is the way it comes from Noctua and it’s made to run with 2 fans. The data from the Noctua and the TRUE Rev. C 1366RT are a repeat of the above data. Here are the results I recorded while using the Thermalright fan only in push configuration and the NH-D14 in it's stock configuration. 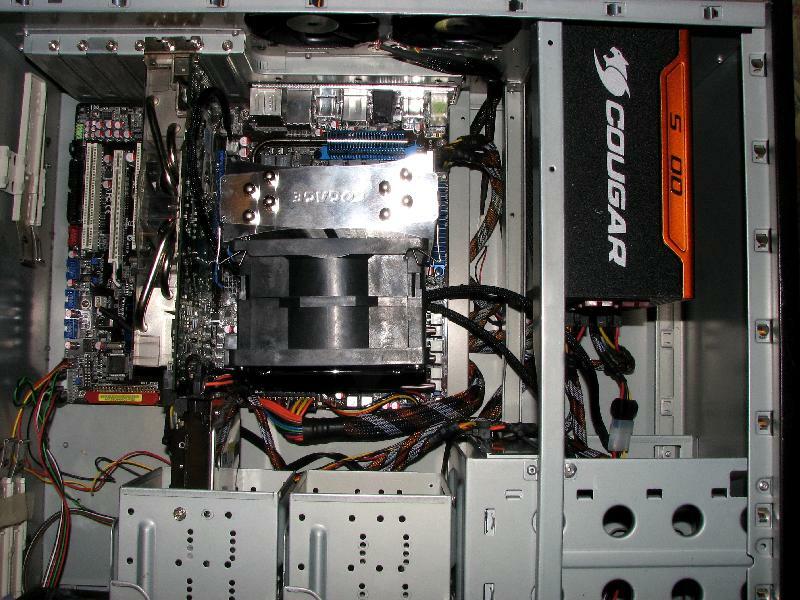 Set up like this, all heatsinks were pretty quiet and weren't noticable over the 80 and 92 mm case fans. Now we come to the high performance testing. For all heat sinks except the Noctua, the Scythe S-Flex SFF21G fans were set up in a push-pull configuration. 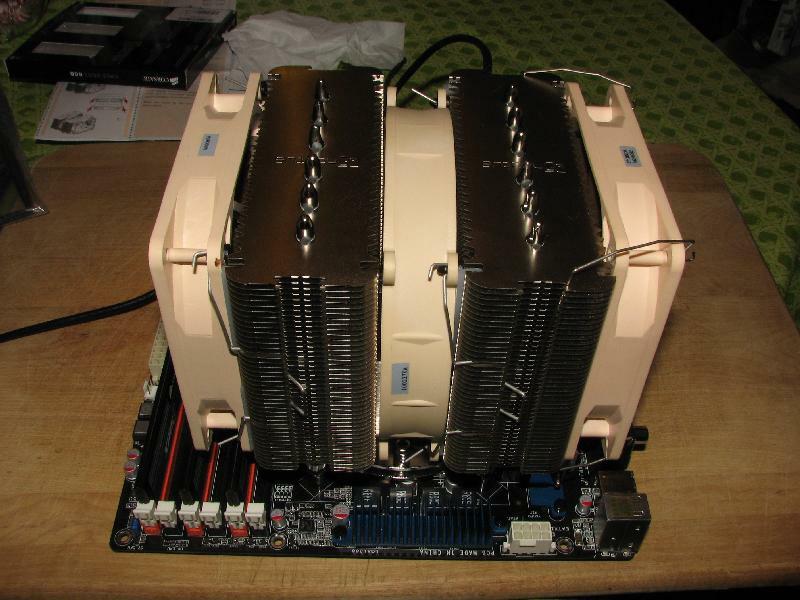 For the Noctua, there were 3 Yate Loon high speed fans set up with one as an intake, the second in between the heat pipe stacks and the third used as an exhaust helper on the second heat pipe stack. 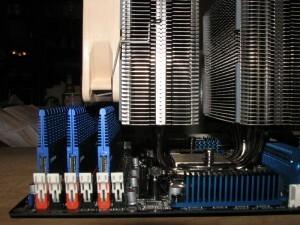 In the High Performance test, all heatsinks had the Scythe SFF21G fans rigged up in a push-pull configuration except the NH-D14. The Noctua was tested with 3 Yate Loon High fans set up in a push-pull/push-pull configuration. Noise was noticable but liveable. Finally, we come to the extreme CFM test on these heat sinks. All were tested with the Sanyo Denki set up in a push configuration. 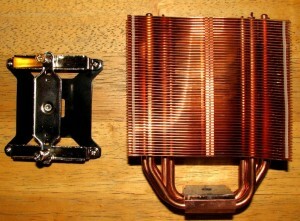 The Noctua had a fan frame inserted between the first and second heat pipe stack to funnel and guide the air through the second heat pipe stack. Finally, we come to the extreme performance chart. All the heatsinks were tested with the Sanyo Denki fan and the case side removed to keep from bottling up any trapped air in the case. No one in their right mind would run this fan as an everyday choice, believe me. There are no losers in this group of heat sinks. All do a superb job of keeping an overclocked Gulftown from broiling itself and are well manufactured. All have good to excellent mounting systems and had no clearance problems with any components around the socket. The NH-D14 does have issues with memory that uses tall heat spreaders but this can be worked around by using ram with short or removable heat spreaders or simply by mounting the intake fan offset a bit to clear the ram. But with that said, in normal, out of the box realm of operation, the good old tried and trusted TRUE Rev. 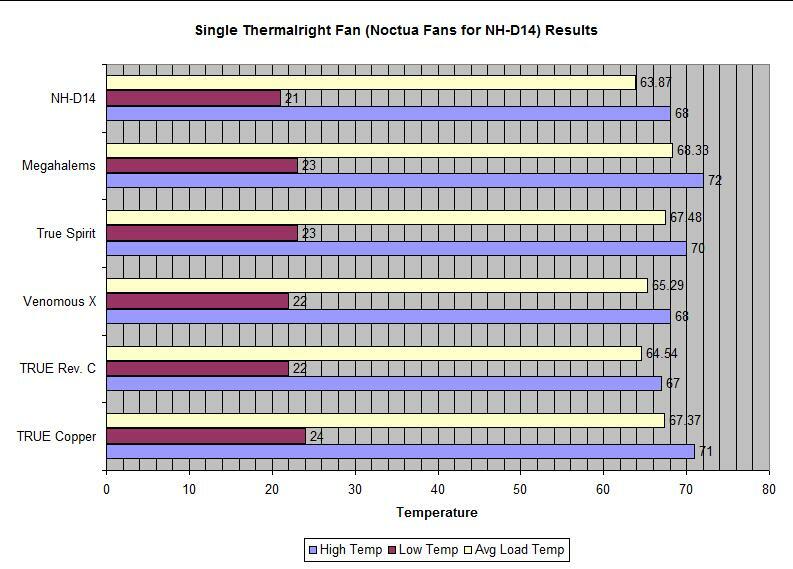 C and the Noctua NH-D14 ran head to head and are a toss-up for the best out-of-box cooler. The Noctua showed a slightly lower average temp on the hottest core on this processor while under load, but the TRUE-C had the lower absolute max temp. The Venomous X comes in a solid third, then the True Spirit and TRUE copper run neck and neck for fourth and fifth place. 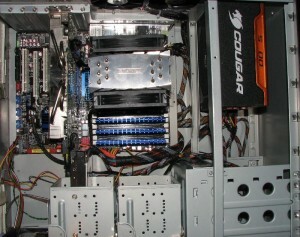 Finally, the Megahalems trails the rest a bit, but still is a very good choice for cooling your hot running i7 system. It’s average in this configuration was only around 4 ½° C higher on average load temp than the NH-D14. In the high performance setup, the Noctua NH-D14 ended up with just an ever so small performance edge over the TRUE Rev. C. Again, both were neck and neck on the high temp recorded but the NH-D14 did record a 1° C lower idle temp and it’s average load temp was almost ¾° better than the TRUE. Again, the Venomous X came in a solid third (with thoughts of making a run at second). In fourth place the venerable old TRUE copper showed its good looking head while the True Spirit was closely following it in a solid fifth place. Again, the Megahalems is trailing the pack, but it’s only lagging the NH-D14 by around 2 ½ °C. In the extreme performance category we see a bit of a surprise here. One of the leading heat sinks in the first 3 configurations kind of falls flat on its face. The NH-D14 didn’t see nearly the performance improvement that the rest of the heat sinks did with extreme cfm and static pressure. The leader in this configuration was the TRUE Rev. C, with a solid 1 ¼ degree lead in average load temp over second place. In a bit of a surprise, the cheapest heat sink of this roundup comes in second in the extreme CFM test, the Cogage True Spirit. Closely following it was the Venomous X, followed by the TRUE copper and the Megahalems. 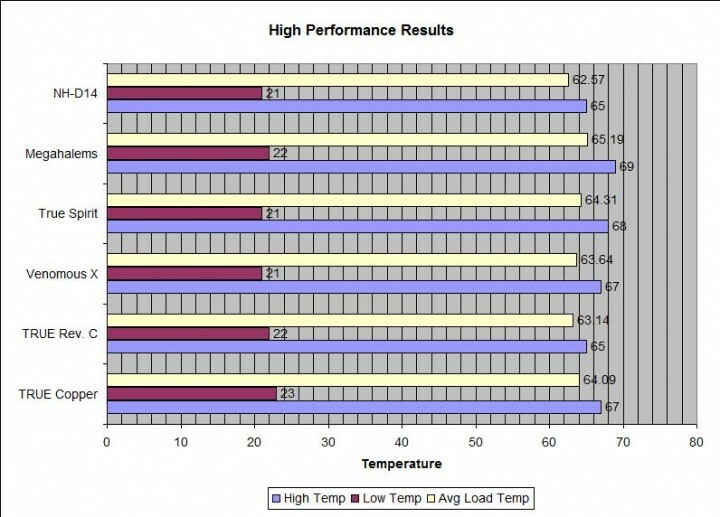 Sucking up in last place this time was the Noctua NH-D14, with an average load temp 4 1/3 degrees higher than the leading TRUE Rev. C. It looks like its configuration just doesn’t respond as well to extreme flow rates and static pressure than the other heat sinks. So who is the overall winner? I’m just going to leave that for you to decide. All have their merits and all are excellent choices for cooling. The old coot of the bunch, the TRUE Copper didn’t perform at the lead of the pack, but is a very good looking and kind of rare heat sink. 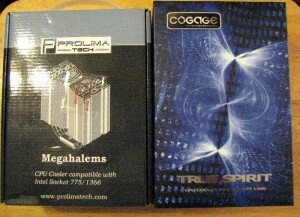 The Cogage True Spirit is solidly in first place in the bang/buck category. The Venomous X is a very good performing heat sink with a mounting system that is versatile for mounting across all Intel platforms and is also tunable in mounting pressure. The Megahalems has the absolute best mounting system in my opinion and the aluminum hardware in their mounting system just screams “quality”. The NH-D14 comes in and shows us that the Austrians have some excellent engineering and quality control and that they can produce a cooler that is a pack leader. 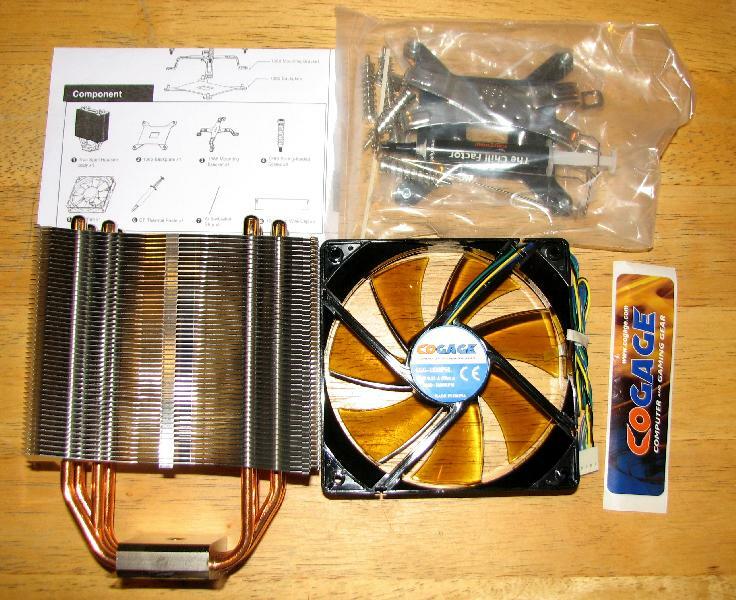 And while it is a bit more expensive than every other cooler in this roundup except for the TRUE copper, it also includes 2 high quality fans that promise you years of trouble free operation. Finally, we come to the TRUE Rev. C. Although it’s initial design is several years old, Thermalright reworked the initial design by giving slightly wider fin spacing than the original as well as redesigning the interior of the fins a bit, putting a “V” shaped cut into the fins in the middle of the stack. It’s redesign was effective too, with this heatsink performing right up there with the NH-D14 in normal and high performance modes and absolutely covering the field in the extreme performance category. They also re-engineered the mounting bracket from the original design for LGA1366, which gives a much more stable mount without having to mod the mounting system. In closing, I hope that you have liked my review and hope that this will help you out in your cooling decisions. And I would also like to thank a couple of vendors that have helped me out by giving me some price breaks while acquiring the heat sinks and fans I use for testing. 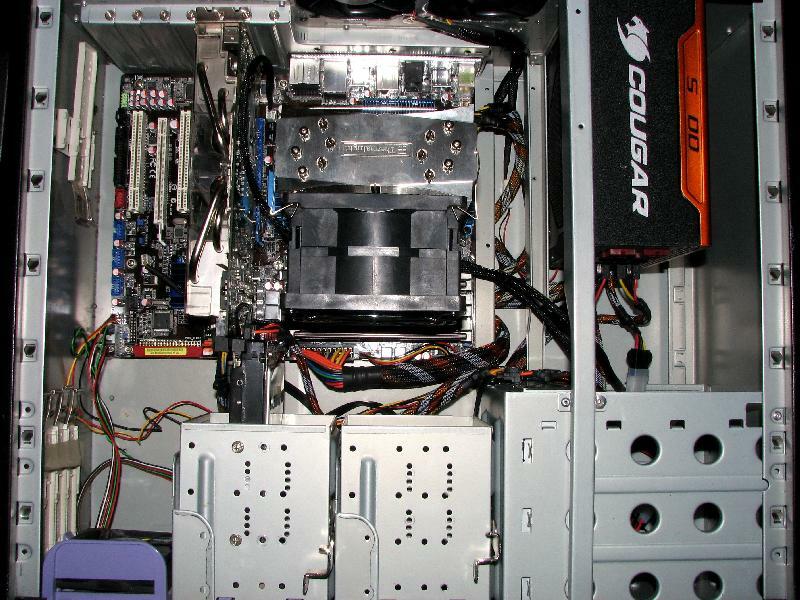 Jab-tech and Sidewinder Computers are both quality places to shop your cooling needs, with competitive pricing and fantastic customer service. I thank you guys for helping me out; it is much appreciated. And to you readers out there; I have enjoyed putting this review together for you and hopefully I will be able to do some more reviews in the future. Very nice write up, by the way. Thank you Chance and CgS Drone. It really did surprise me on how well the TRUE design has stood the test of time. It even hung in real close to the NH-D14 in both the quiet fan and high performance tests and with the Denki on there it was the class of the field. But none of them are a bad choice for cooling and it just goes to show how well engineered all 6 heatsinks are. man...that true scales really well if you're willing to deal with the noise, I thought there'd be a bit more headroom in the noctua, just based on the other stuff I've seen...in terms of quiet performance, I think the noctua wins, max performance goes to the true with a monster of a fan on it...value buy remains firmly in the hands of the true sprit. Yeah, it is amazing how big these coolers have had to get to be able to deal with the heat generation of today's processors. Not so much for the dual core procs but the quads and hex cores are real heat monsters. As for the shorter fin length, I'm not sure what you are referring to. Are you taking about the thickness of them or the height of them or the width. I think they've pretty much been settling on a form factor that accommodates 120 mm fans because it is a good compromise size for cfm while remaining fairly quiet. 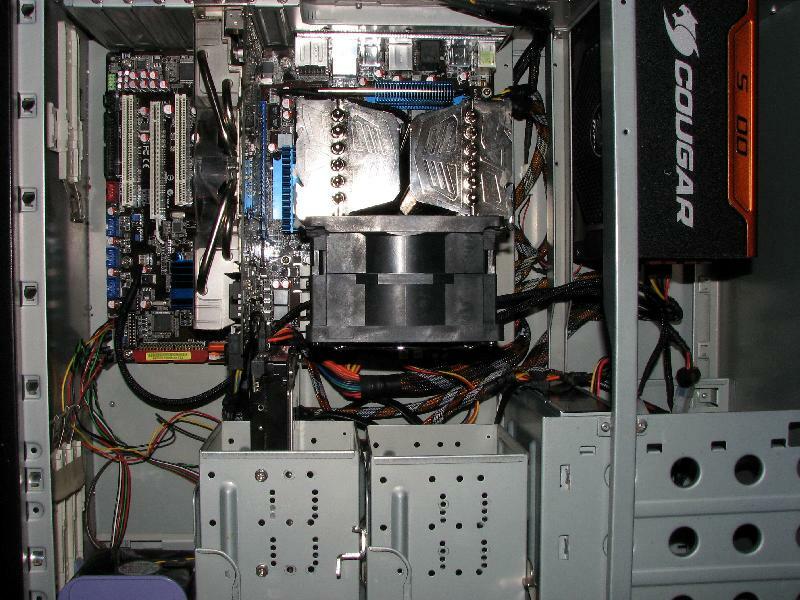 With the old heatsinks that ran 60, 80 and 92 mm fans, you always had to run really loud, high rpm fans to get enough airflow for effective cooling when overclocking your processor hard. Beenthere if I understand you right, you need the fin, the heat pipe transfer the heat from the cpu, the fin then transfers the heat from the heat pipe, the air then trasnfers the heat from the fin. You need the surface area on the fin in order to tranfer the heat to the air. ooh nice, finally a well written thread about cpu heatsinks. Thanks man, nice round-up, nice methodology and I love that you tested in case. Yes you need fins to draw the heat out of the heat pipes but the question is what is the ideal length of fin for the application. Longer fins may actually detract from the rate of heat extracted depending on airflow velocity and volume? very nice write up. and as far as size, you obviously havent seen the scythe mugen 2, that thing is huge and doesnt perform as well as the megahalems that replaced it for me. and the mega is less than half the size. Thanks guys. And dejo, no I haven't messed with the mugen 2. Since I am presently having to buy what I test I have to limit myself. Hopefully I can pick up some review samples in the future from manufacturers so the costs won't be so bad. 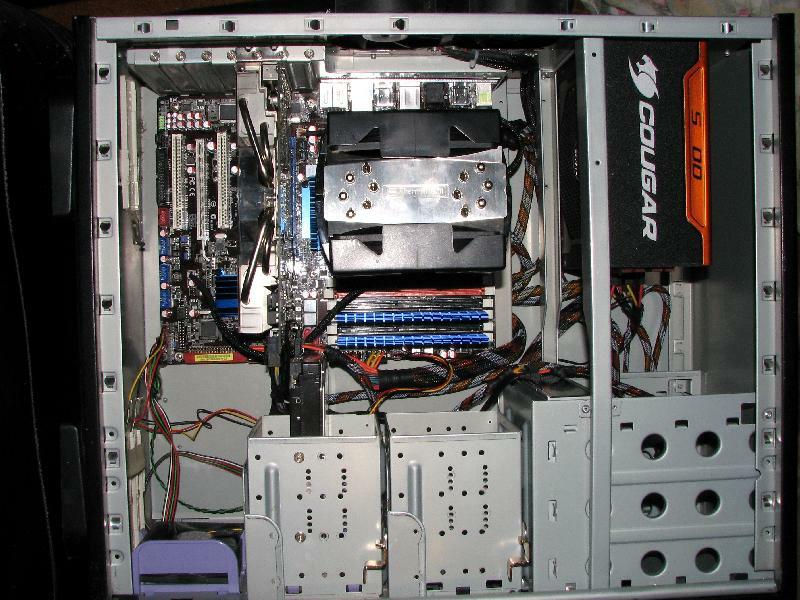 And that way I could put out of my money into upgrading monitoring equipment, like a temp monitor that will interface with the OS and keep accurate records of temps at various places inside the case. 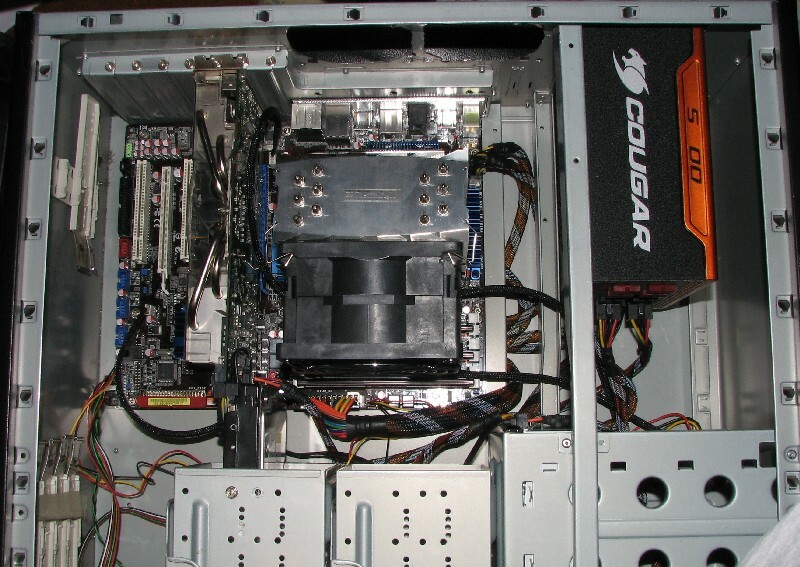 That is my next upgrade in the future for my test rig. - I'm assuming all fans were at 100% at all times? 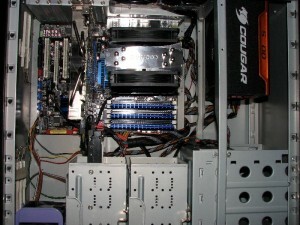 - Any chance of doing a control test with the stock cooler? I know it might be hard with the overclock, but it would give people an idea of the delta improvement all of these heat sinks provide. Still, a great review as is! Yes, all fans were run at 100%. The only fan of the bunch that is a PWM fan is the one that came on the True Spirit and I set the bios to run it at 100% too. And I thought of including the stock fan in there too, but then the stock 980X heatsink isn't the same as the one that comes with the lower tier i7 procs either. But with the proc at the same overclock the temps with the stock heatsink were at least 10 C higher than the aftermarket heatsinks. Ultimately, I decided not to include the stock fan data in the roundup because it wasn't in the same league as the heatsinks tested. And to tell the truth, it is as noisy or noisier than the setups running the Scythes in push-pull and the NH-D14 with 3 Yates installed. 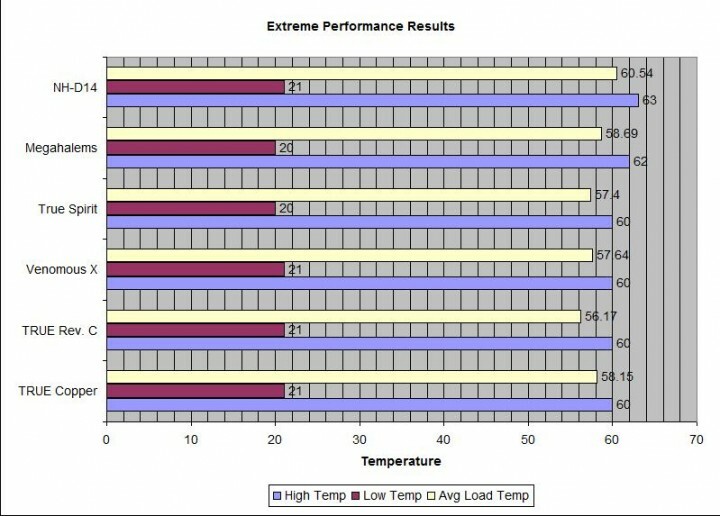 But I will give Intel that it's a better heatsink choice than what they included with my last Extreme proc, the QX9650.